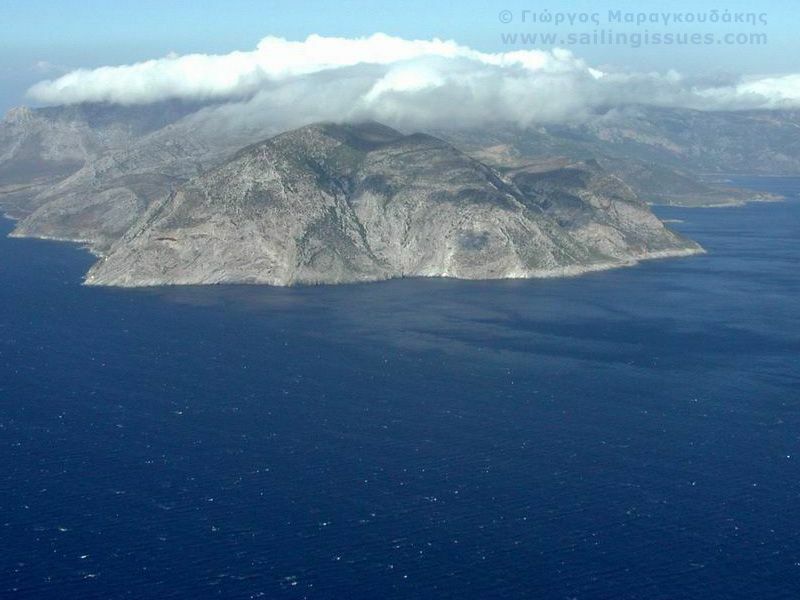 A two weeks itinerary out of Athens or Poros could include rounding the infamous Cape Malea (Maleas) opposite the island of Kythira. On the west side of Cape Malea the ports and anchorages of a whole range of interesting places ideal for sailing vacations out of Athens: (from west to east) Katakolon (visit the archaeological site of Olympia), Kyparissia, Marathopoli, Pylos, Methoni, Koroni, Petalidi, Kalamata, Limeni, Mezapos, Porto Kagio, Gytheio, Plitra, Elafonisos, Voie (Neapoli). In these advanced waters rarely motorsailers (gulets &caiques) are seen not only due to the wind and waves conditions but also because of the distance from the nearest yacht charter bases of Athens and Poros in the Saronic Gulf further north east of Cape Malea. For this second reason also few bareboat sailing vacations are organised here, but both Elafonisos and the island of Kythira are beautiful destinations, particularly because these venues are so difficult to reach. Hence a three week itinerary is highly recommended - and Athens sailing vacations have the advantage of the least added logistics possible: there is a direct bus service from the International Athens Airport to the Athens Alimos marina at Kalamaki. All reliable yacht charter firms will include the transport from/to the airport into the Athens sailing vacations. Alternatively the departure port could be Poros, which involves a short ferry ride (or hydrofoil) from Piraeus port Athens. There are fewer reputable yacht charter agencies out of Poros yet the distance to the Argolic Gulf and hence the distance to Cape Malea is shortened by a day or so. When sailing a shorter time than a few weeks than it is recommended to concentrate on the northern part (notably Nafplion) of the Argolic Gulf instead of the southern part. The vast majority of flotillas won't explore the regions further away from Athens. For proper Athens sailing vacations the right bareboat requirements are necessary, since bareboats are the proper way to discover the unspoilt destinations within Greece.